Previous image, 32 total items. Next image, 32 total items. It’s known for glamorous restaurants and designer boutiques, but this city also offers pristine beaches, fabulous old hotels and family-friendly activities. Famous for sun, sand and surf, as well as its glittering nightlife and glamorous restaurants, Miami also offers a wide range of activities for families and nature trails to explore. 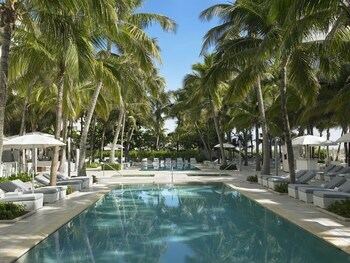 Start your holiday at one of Miami’s beaches to enjoy the warm waters and soft sand. Most of the action is at South Beach, but further north you can avoid the crowds and find some great spots for surfing. For families, Surfside Beach is perfect, as it has a long, quiet stretch for children to play. Find yourself a comfy spot and relax or go for a dip. If you are looking for something more exciting, rent out a Jet Ski, go waterskiing, or grab a snorkel and check out the local marine life. Those who don’t mind going "au naturel" should make their way over to the nudist beach at Haulover Beach Park. See how some of the locals live with a stroll around Bal Harbor Beach. Admire the landscaped gardens and pristine waters of one of the city’s more elegant areas. Boutiques, restaurants and bars are plentiful, but many of the biggest and best are clustered around South Beach, which is the city’s social and cultural center. 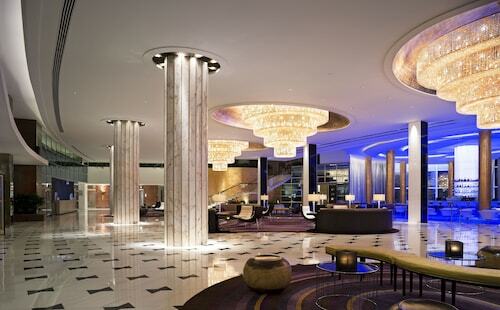 Here you can see a show, explore an art gallery, or dance the night away in a club. Architecture lovers will notice the huge number of art deco buildings. Drop by the Art Deco Welcome Center for more information and to organize a tour of the city’s best districts. Those with families should take a visit to Zoo Miami, one of the first free-range zoos in the country. Animals are grouped together based on their geographic territory, and animals that live peacefully together in the wild are placed in the same exhibit area. The Miami Seaquarium is another great family attraction with regular dolphins shows. For a city with a reputation as a party destination, Miami also offers a lot for families and architecture and art lovers. 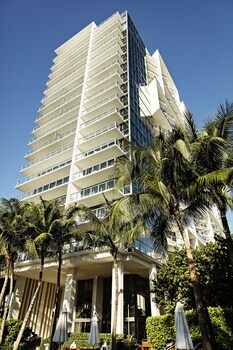 Miami Beach is very popular with vacationers, and offers a fine selection of places to stay. 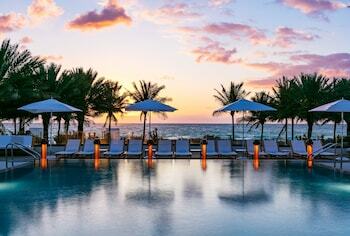 Expedia's Miami Beach hotels guide makes booking easy. If you and your family are interested in a bed at the more exclusive end of the spectrum, you'll be sure to find what you're looking for at the Provident Luxury Suites Fisher Island, located at 13 Fisher Island Dr, or the Fisher Island Club and Resort, at One Fisher Island Drive. If you're hoping to find somewhere that doesn't break the bank, The Villa, 1116 Ocean Drive, or the HI Miami Beach - Hostel, 1506 Collins Ave, could be more your style. Traveling is about doing things you get a kick out of as well as things you've not attempted before. Are you ready to jump into some remarkable new experiences? For more activities, head to our Miami Beach things to do page. Discover a magnificent collection of modern design objects and artworks at this premier museum, library and research center in the heart of the Art Deco District. Play with tiger cubs and walk among free-flying exotic birds at this tropical zoo. This cruisy thoroughfare, which was built on a model Mediterranean village, has a history that includes mafia-related dilapidation and a cultural rebirth. 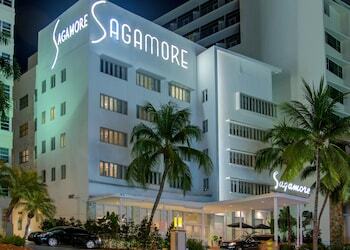 Located in Mid Beach, this beach hotel is within a 15-minute walk of Indian Beach Park and Miami Beach Boardwalk. Collins Avenue Shopping Area and Miami Beach Convention Center are also within 3 mi (5 km). 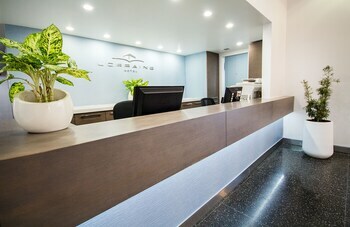 Located in South Beach, this luxury hotel is within a 5-minute walk of Collins Avenue Shopping Area and Espanola Way and Washington Avenue. 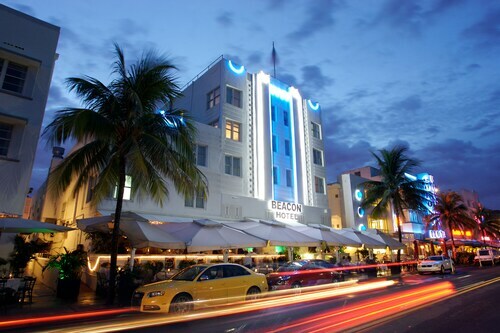 Lincoln Road Mall and Ocean Drive are also within 10 minutes. 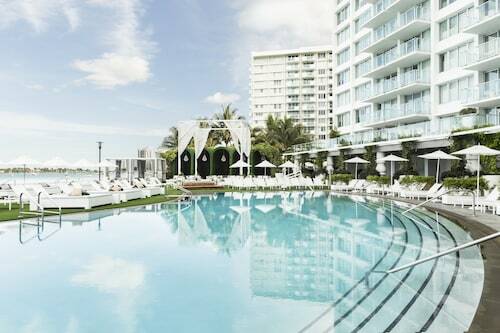 Situated in the heart of world-famous South Beach in Miami Beach, the Riviera Suites South Beach, a South Beach Group Hotel is steps from the beach, world-class dining and shopping on Lincoln Road, and the Miami Beach Convention Center. 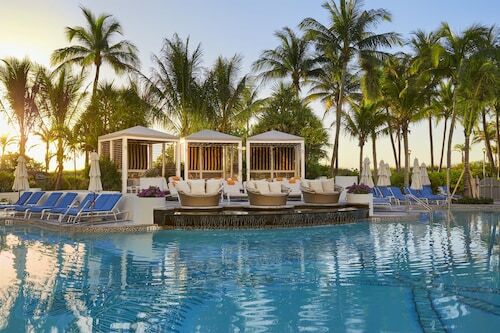 Opposite the oceanfront Lummus Park, this 1937 hotel is a half-mile from the Mansion and Nikki Beach clubs, and within 2 miles of the convention center and Lincoln Road mall. Sun., 2 Jun. - Fri., 7 Jun. Tue., 7 Jan. - Thu., 9 Jan.
Wed., 8 Jan. - Tue., 14 Jan.